Did you know New Orleans had a U.S. Mint facility? The New Orleans Mint made “O” mintmark coins from 1838 through 1909, with a break during the Civil War and Reconstruction in the 1860s and 1870s. Today, the Old U.S. Mint serves as a museum not just of money but also music, and was one of my favorite stops during a trip I made to The Crescent City. Perhaps best of all, admission is free! Here’s a great story about the history of the New Orleans Mint, what you’ll find there today, and why you should stop in for a visit the next time you’re in The Big Easy. When the United States Mint began building its branch location in New Orleans in the mid 1830s, the nation was expanding so rapidly that the Philadelphia Mint couldn’t keep up with the growth. According to at least 1 estimate, there was only a single small silver coin — that’s a half dime, dime, or quarter — per person in 1830. That was hardly enough to keep the channels of commerce going! So, the federal government passed a law to allow the United States Mint to build 3 new facilities throughout the south. These include the New Orleans Mint, as well as mints in Charlotte, North Carolina and Dahlonega, Georgia. The New Orleans branch was built in 1835 and it began coining operations 3 years later. Of the 3 new mints that began operations in 1838, New Orleans produced by far the most coinage. It also made both silver coins and gold coins, whereas the Charlotte and Dahlonega mints struck only gold coins. New Orleans had the most prolific branch mint until the Gold Rush in California during the 1840s and 1850s brought the need for the San Francisco Mint, which opened in 1854. On January 26, 1861, Louisiana seceded from the Union, and the New Orleans Mint came under the jurisdiction of the state. Soon after, the New Orleans Mint was operating under the Confederacy and was to become the coin production headquarters of the Confederate States of America. A number of 1861 Confederate States of America half dollars were also made. These bear the Seated Liberty obverse design that was on regular half dollars during the early 1860s and a special Confederate States of America reverse, which you see pictured to the right. 4 original Confederate States of America half dollars are known to exist today, along with 500 restrikes made in the 1870s. Later in 1861, after the Confederate half dollars were struck, the New Orleans Mint closed as a coin production facility and was used for housing Confederate soldiers. In 1876, years after the Civil War ended, the building began serving as an assay office, and in 1879 it was restored as a full mint with new minting equipment. By that time, most coin production in New Orleans focused on the Morgan silver dollar. The New Orleans Mint would continue operating through 1909, though it wasn’t officially decommissioned as a Mint until 1911. At that point, the minting equipment was shipped to Philadelphia. After that, the building served as an assay office again, a function it carried out until 1932. The mint building then became a federal prison until 1943, and later a Coast Guard storage facility. In 1965, the 130-year-old building was in a state of deterioration, but it was considered one of the safest buildings to take cover in as a fallout shelter should the Cold War have gone nuclear. After successful fundraising efforts in the late 1970s, the New Orleans Mint building reopened in 1981 as a coin production museum — as well as, at one point or another, a sanctuary for relics from the Mardi Gras parades and the pottery world. 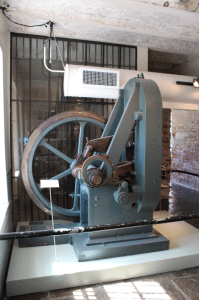 Today, you can see old coin presses, weighing machines, bullion counters, and other equipment that would have been used to make coins at the New Orleans Mint more than a century ago. You can also see a variety of old coins made in New Orleans. Many of these coins are quite rare. In addition to coins, you can also see some incredible artifacts from New Orleans’ rich jazz scene. Music at the Mint, funded by the Louisiana Museum Foundation, has exhibits and an archival collection of documents and artifacts. They even stage music performances at the Old Mint building. I also enjoyed seeing the Jazz Collection, an assemblage of historical instruments played by some of New Orleans’ most famous and beloved jazz artists. I got to see Fats Domino’s white Steinway & Sons concert grand piano, which was lovingly restored after nearly being destroyed during Hurricane Katrina. There’s Louis Armstrong’s cornet, an instrument “Satchmo” would learn how to play when he was a young boy. And you can’t overlook the huge collection of sheet music and photos — all lasting tributes to the greats who contributed to beautiful musical culture in New Orleans. As part of the New Orleans Jazz Historical Park, the Jazz Collection and Music at the Mint are part of the National Park Service. In fact, the entire New Orleans Mint building is part of the Louisiana State Museum. 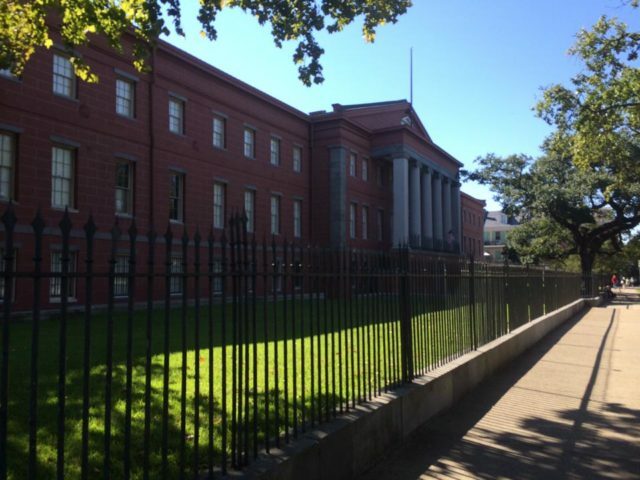 What’s more, the Old U.S. Mint building became a National Historic Landmark in 1975. Where Is The Old New Orleans Mint? If you’re from out of the area and coming from westbound Interstate 10, you’ll need to take Exit 236-C. Eastbound travelers should take Exit 236-A. The Old U.S. Mint is located at 400 Esplanade Avenue, New Orleans, Louisiana 70116 (that’s what you’ll want to plug into your GPS). For more information, visit the New Orleans Mint website or call: (504) 568-6968. If you’re already in town, you can find the Old U.S. Mint on Esplanade Avenue between Decatur Street and N. Peters Street, which is on the northeast side of the French Quarter.